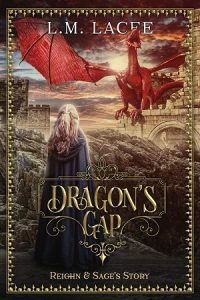 Dragon’s Gap book one is back from our new editor. FREE Dec. 10-13… After an enjoyable read through I am very happy to reintroduce it to everyone. It is the same book but with improved readability. I hope some will re-read Reighn and Sage’s story and find this updated version of my very popular first story to this epic saga as enjoyable as I do. I am also placing it on SALE for a limited time. Sage Harris, stood with three hundred females in the backyard of their Alpha’s property, waiting for him to acknowledge that they were there. Anger pulsed into the air, smothering all other emotions, except for the crushing pain emanating from the female standing beside her. As she looked around the yard, she knew life was about to change for herself and all these half-bloods. Females born of the union between a human mother and a shifter father. As well as the Alphas who they awaited. Robard and Pearl Harris, Alphas of the Western Mountain Pack ruled the world, at the will of the Shifter Goddess.age Harris, stood with three hundred females in the backyard of their Alpha’s property, waiting for him to acknowledge that they were there. Anger pulsed into the air, smothering all other emotions, except for the crushing pain emanating from the female standing beside her. Like all these females Sage too had come to her uncle Robard’s territories for protection, living under her uncles rule, had been most of these females only recourse. Safety for themselves and their children drove them to live within the territories of the pack. This was not because the pack offered a prosperous way of life… far from it. Unfortunately, the world viewed the half-bloods with suspicion and distrust. Unable to identify as full-shifter or full-human was a constant burden for the females. Sadly the half-bloods were discriminated against and sadly not just by humans. Not everyone liked the results that came from the unions of humans and shifters. Although there were benefits to being the offspring of the association. As with all half-bloods, Sage appreciated, the gift from her father that flowed through her veins, and the many benefits through that blood that they all received. Especially the rate of aging which was slow. As with full-bloods, the females all looked younger than their actual age. Like her, there was not a female here who was not grateful for that or the healing abilities they were endowed with.